New iPhones are finally here. The phones do not just come with a new name, the hardware on the inside has been upgraded as well. The models which are the iPhone XS and the iPhone XS Max are the most expensive iPhones available. If you are to choose, which one will you pick? To answer that question, read further as we will be comparing the iPhone XS with the iPhone XS Max. When it comes to the design, the iPhone XS has a bigger body. The iPhone XS has body dimensions of 143.6 x 70.9 x 7.7 mm and it weighs 177 gram, while the iPhone XS Max has 157.5 x 77.4 x 7.7 mm body dimensions and weighs 208 gram. There is no doubt about it that the iPhone XS Max is a big phone. That not just all, it’s also heavier than the iPhone XS. You can only match the phone with the iPhone 8 plus that weighs 202 gram and also has dimensions of 158.4 x 78.1 x 7.5 mm. That said, the iPhone XS and the iPhone XS Max has been upgraded to IP68 water resistant. This allows the phones to survived up to 3 meters of water instead of one. Surprisingly both phones support dual SIM. You can now use a standard nano-SIM and a second SIM via eSIM and they both can work together. You can combine them together both work and home number or you can add a local SIM when you want to go on a trip. Both the iPhone XS and the iPhone XS Max are now equipped with louder external speakers than the iPhone X. Finally, the iPhone XS and the iPhone XS Max rock the stainless steel frame and a glass on the back which is even perfect for wireless charging. They are available in Silver and Space Grey colors. 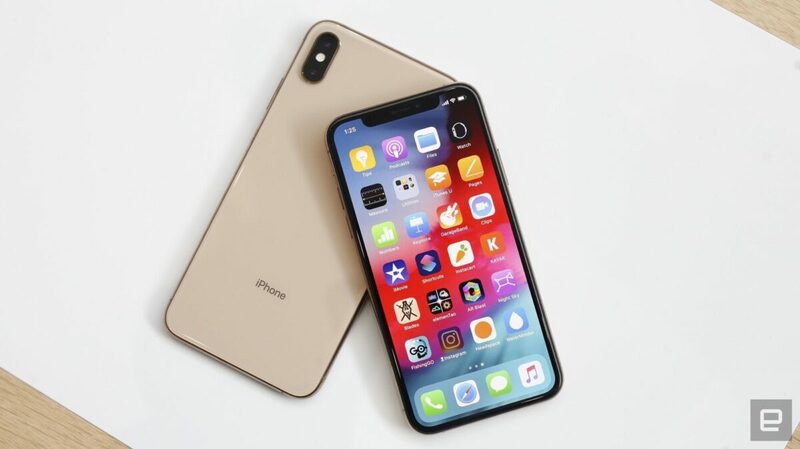 The iPhone XS has a large screen size of 5.8-inch 19.5:9 aspect ratio with a True Tone OLED display panel and a screen resolution of 2436 x 1125 pixels (458 PPI). The screen stretches up to 82.9% screen-to-body ratio. The iPhone XS Max has a larger screen size of 6.5-inch with 19.5:9 aspect ratio and a True Tone OLED display technology. It has a screen resolution of 2688 x 1242 pixels (458 ppi) and a screen to body ratio of 84.4%. The iPhone XS Max actually carry a homogenous display which lives up to its name “Max” branding. As you can see, this phone will offer a big screen experience. 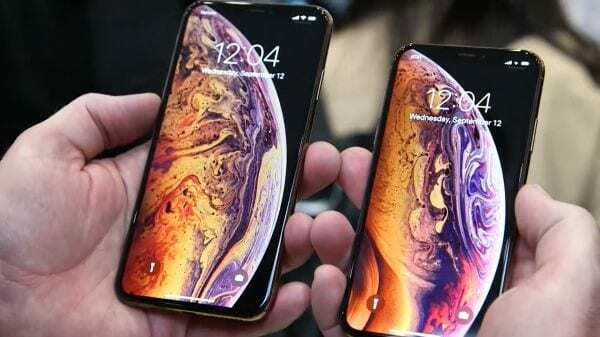 Apart from the size, the iPhone XS is identical to the iPhone XS Max. The siblings are pair with True Tone, OLED panels, pixel density, support for Dolby Vision and HDR10. Both phones are ideal for video watching. Both still carry the iPhone X notch which some till now still find it annoying. Well with days or months they will get used to it like they did on the iPhone X. The notch houses the Face ID which you can use to unlock your phone. Both iPhone XS and the iPhone XS Max has the same camera setup. They both have a rear primary camera of 12MP that features f/1.8 aperture, 1.4µm pixel size, Optical Image stabilization (OIS), Quad-LED True Tone flash, and Portrait Lighting. You will also get a secondary rear camera of 12MP this is for a telephoto lens and it features f/2.4 aperture, 1.0µm pixel size, OIS, and 2x optical zoom. For selfies, they offer 7MP with f/2.2 aperture and TrueDepth. This features will help the iPhones to take brighter photos even in a low light environment. Another great feature of these iPhones is the Smart HDR. The work of this software is to combines multiple photos taken at different exposures and combines their best elements into a single shot. You can also adjust background bokeh on Portrait Mode shots. Both the iPhone XS and the iPhone XS comes with the Apple Apple latest A12 ‘Bionic’ chipset: Six-Core CPU, Six Core GPU, M12 motion coprocessor, and 4GB RAM. The A12 Bionic will be the top selling point of these phones and it worth all the excitement. The good news here is that the new graphics will perform 50% better than the A11 and 50% saving in power efficiency when the phones are idle. The RAM has also be increased and this should be sufficient enough to hold many App in the memory. Apple also improved software algorithms enabled by the A12 chipset which makes the Face ID to be faster and reliable. The phones also come with fast wireless charging and 4G LTE. The iPhone XS comes with 2800mAh battery capacity while the iPhone XS mas has 3400mAh battery capacity. This increase can only boast of 30 minutes and 90 minutes longer than the iPhone X. In addition to this is the wireless charging technology that uses the Qi-standard which is capable of 7.5W charging. The fast charging technology promises 50% charge from flat in just 30 minutes. On the price, the iPhone XS with 64GB memory will cost $999, 256GB will sell at $1,149 while the 512GB will be priced at $1.349. The iPhone XS Max with 64GB will cost $1,0999, the other with 256GB will sell at $1249, lastly, the one with huge 512GB goes for $1,449. 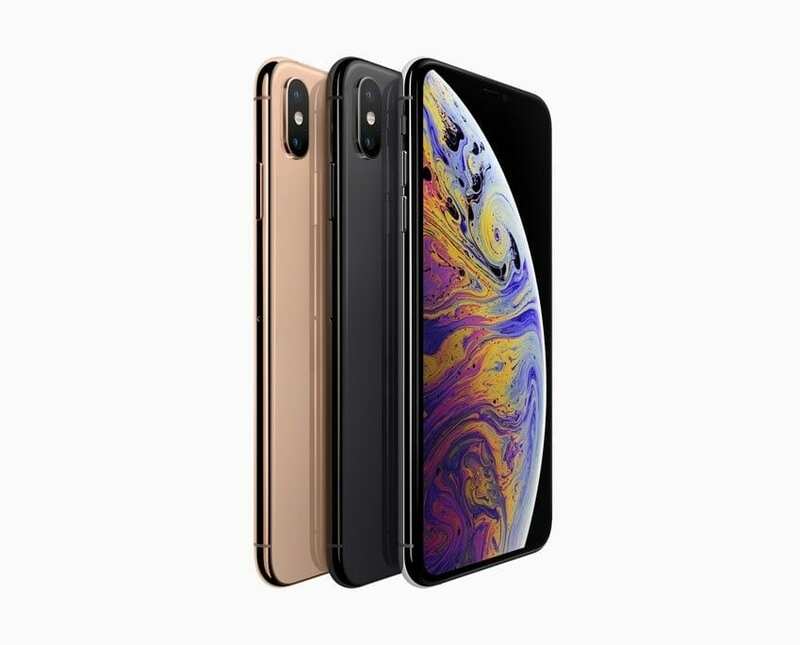 Among the three iPhone that was launched by Apple, the most appealing is the iPhone XS Max. Not just about the bigger screen size but the bigger battery on the inside which has always been a buying factor for most people. However, if you are looking for more affordable version, the iPhone XS is a great phone, but I will advise you to go for the iPhone XR because it’s cost effective and it offers most of the features on the iPhone XS. Beside this, you can hardly notice the difference in real life. If you still have the iPhone X, then stick to it because there is not enough reason here to switch. Both phones follow the footsteps of the iPhone X both on the design and performance.